A powerful presence, the C6X is rich in reverberation. It captures the nuances of the pianist’s intentions and conveys them beautifully through the depth and beauty of its tone. Graceful beauty and a powerful tone. 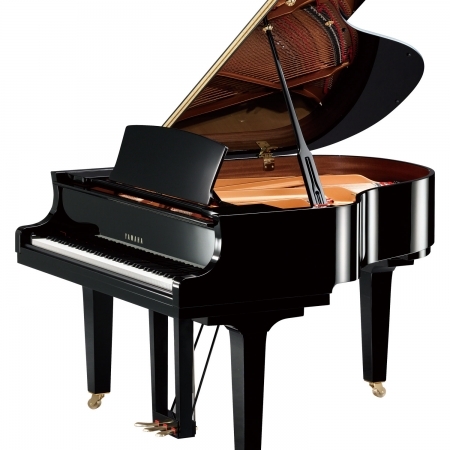 212 cm grand piano with solid spruce soundboard, solid spruce ribs and maple bridge. 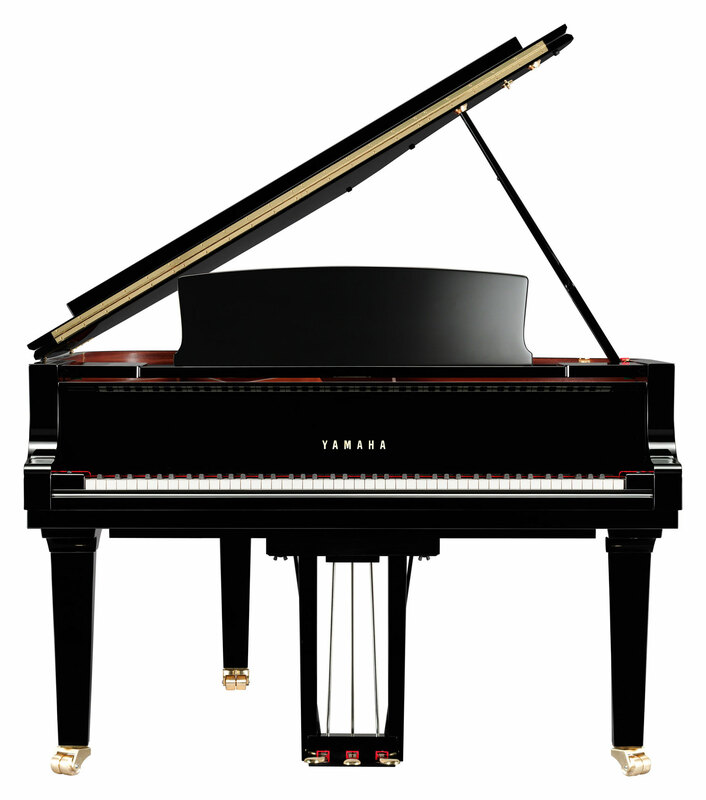 Yamaha advanced scale design ensures each grand piano delivers the optimum performance for its size – The C6X has a rich and resonant tone suitable for schools, auditoriums or larger homes. 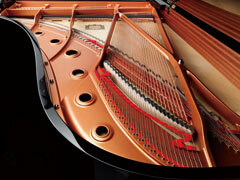 Agraffes, used in all CX series pianos, control distances between strings resulting in accurate hammer striking and an even and uniform tone and volume. 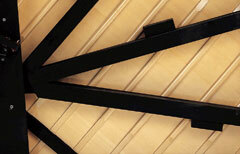 Available in Polished Ebony – Other finishes available by order. 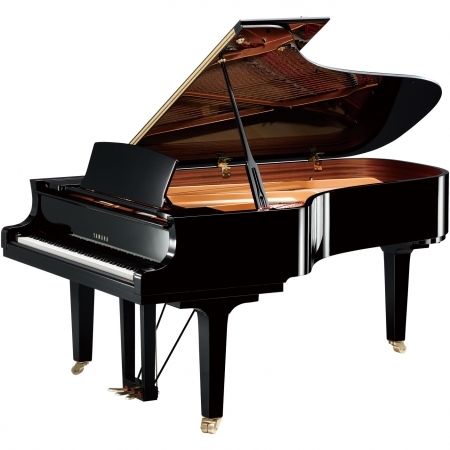 Available in Grand, Silent Grand and Disklavier options. A violin is built around a beautiful body with three-dimensional swellings and a delicately curved shape, which is similar to the three dimensional concave design in a piano soundboard called the “crown.” The manufacture of this crown is pivotal to the crafting of any piano, and is thus of paramount importance to piano engineers in addressing the problem of how to transmit the vibrations of the strings from the soundboard into the surrounding air efficiently. 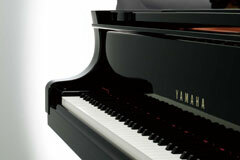 Yamaha has taken experience accumulated through many years of crafting pianos and combined it with unsurpassed engineering ability to ensure that the soundboard always provides superb projection. 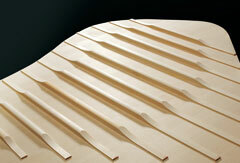 The resulting design capitalizes on physical phenomena unique to the craft of piano-making, to create a soundboard assembly with a structure that allows it to vibrate easily, something that would not have been possible without the deep understanding of the traditional art of piano crafting that goes hand-in-hand with Yamaha’s experience and engineering know-how. 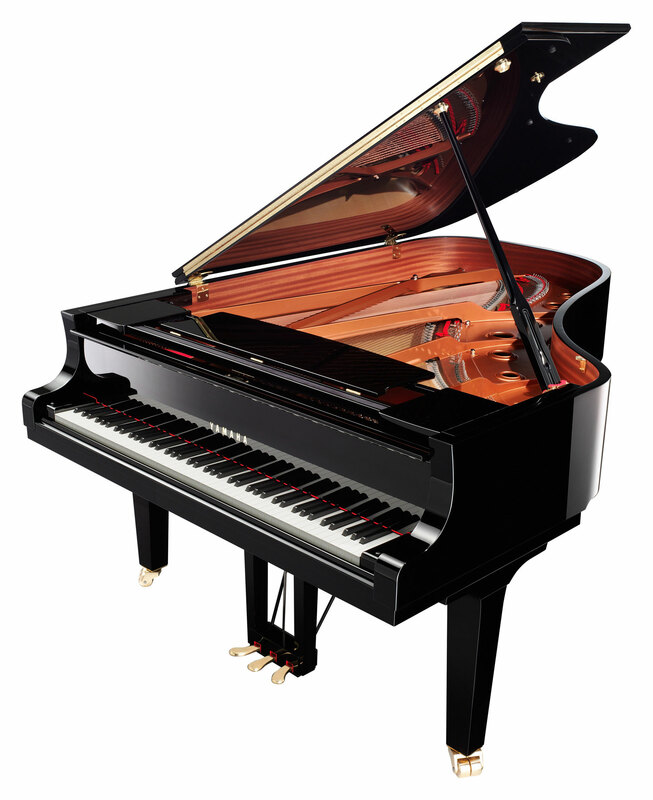 The same techniques developed for gluing the soundboard, ribs, and bridge in the CFX are used for the C3X and above—models which require a great deal of projection—and the process of installing the resulting soundboard assembly into the piano body has been investigated carefully. 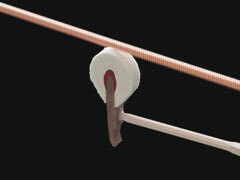 This has resulted in dramatically improved projection and the unprecedented response that performers demand. 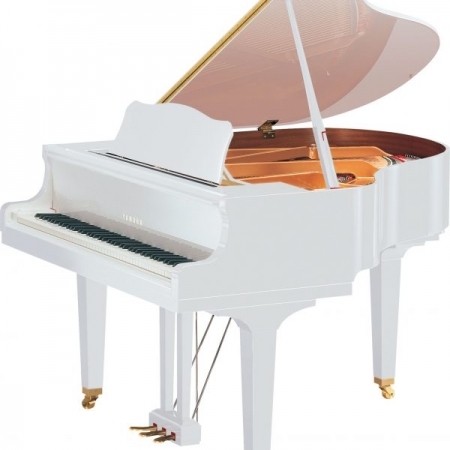 Pianos offer pianists only a limited amount of freedom; indeed, apart from the pedals, the pianist’s scope for expression is limited to the 10 mm travel of each of the 88 keys on the keyboard. Even so, the combination of the pedals with the speed and velocity applied to the keys produces a range of tonal changes so broad that they cannot be reproduced with current digital technology. This is the true soul of an acoustic instrument, allowing the pianist to obtain an incredible amount of expression from just 10 mm of key travel. 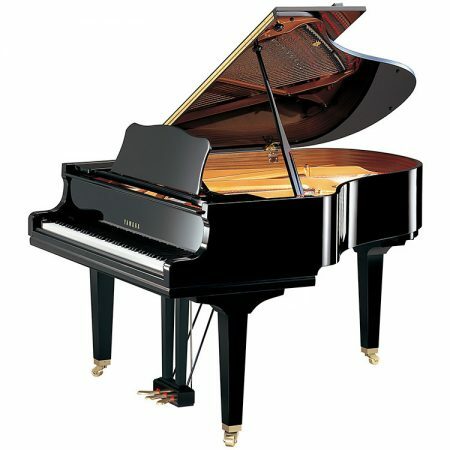 That is precisely why Yamaha devotes so much time voicing their pianos so that the intentions of the pianist are conveyed to the strings. In regulation, a craftsman adjusts the movement of the action so that it accurately transmits every nuance of the pianist’s touch. In voicing, the hammers, which cause the strings to emit sound, are pricked with a pick to create a balanced tone that will respond beautifully when played. 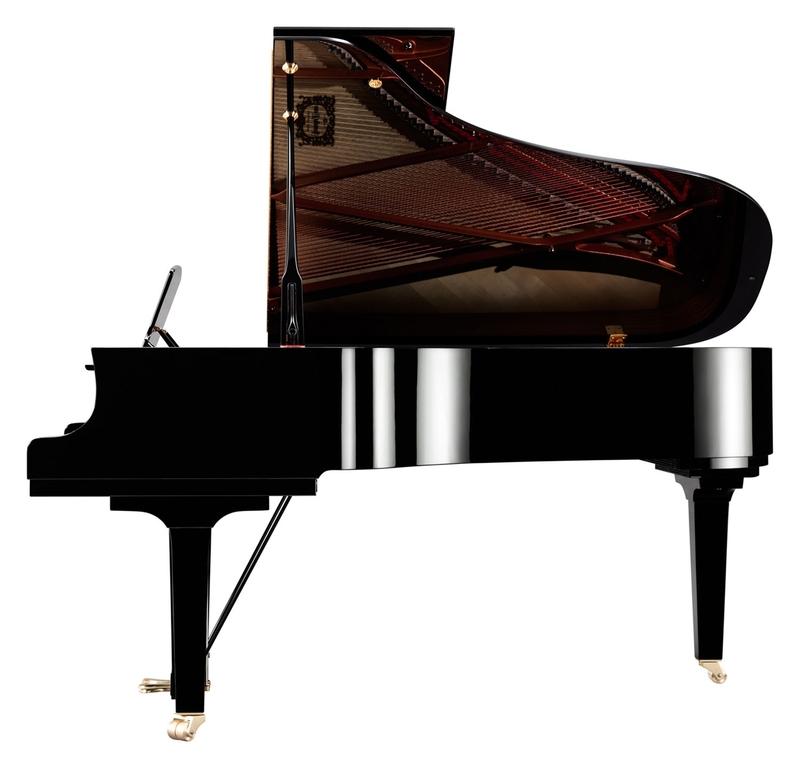 Even today, in an era when technology continues to evolve rapidly, these tasks remain the domain of skilled craftsmen who must ensure the high quality of these instruments, and are the main reason that Yamaha has remained one of the top piano makers in the world. 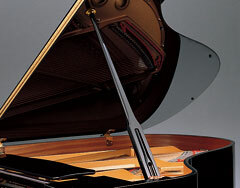 – The CX Series is equipped with a lid prop stopper to prevent your fingers from being caught when the piano lid closes unexpectedly. – The fallboard is fitted with a soft landing mechanism that means you no longer have to worry about the fallboard shutting on your fingers unexpectedly.